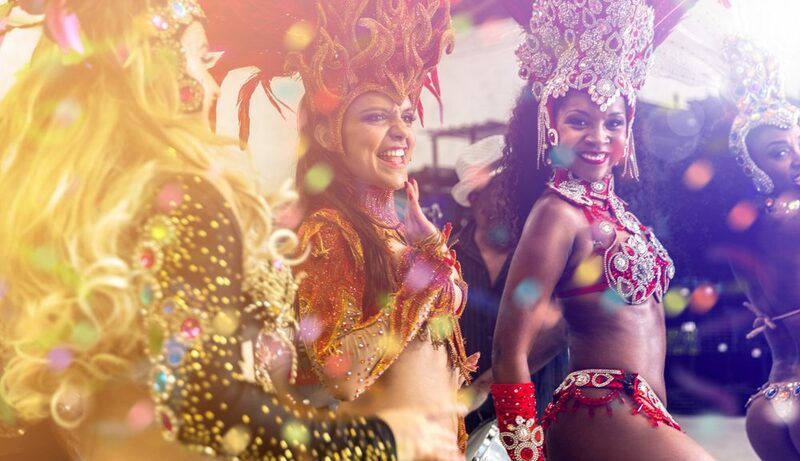 Take part in the explosion of music, color and people at the Batabano Cayman Carnival, an annual event in the Cayman Islands that takes place every year during the first week of May. The Batabano Cayman Carnival is a festival that fills the streets of George Town with floats, steel pan bands and thousands of residents and tourists dressed up in flamboyant costumes. There are bouncy castles and face painting for kids, a teen jam, food booths, a song competition and a T-shirt contest to enjoy, among other activities for the entire family. This event gets its name, Batabano, from Cayman’s turtling heritage and the tracks the turtles leave behind as they come onto the beach to nest. This year’s Batabano Cayman Carnival begins on May 5th and offers a full weekend of vibrant island culture. Enjoy an atmosphere of togetherness at an event that has welcomed all for the past 35 years. Entertainment and merriment last for more than a week straight at this carnival that offers visitors incredible views of Seven Mile Beach. The Batabano Cayman Carnival is considered the premier boutique carnival of the Caribbean. Everyone who attends feels part of the experience and is welcomed to dress in colorful costumes to show their island spirit. Celebrate Cayman by learning the history of the carnival while you’re at the event and participating in the pageantry of it all. Dance, sing, attend the parades (one of which takes place the week before the carnival begins) and revel in good company. The costumes worn at the carnival reflect the diverse, colorful and vibrant landscapes, cultures and heritages of the people of Cayman. The music is the lifeblood of our island. Everything about the Batabano Cayman Carnival offers a distinct flavor of the Caribbean, in particular the Cayman Islands. We have more than 100 nationalities to celebrate in the Cayman Islands, and this carnival is a symbol of our melting pot. The Rotary Club of Grand Cayman put the first Batabano Cayman Carnival together back in 1983. Since then, the event has become our island’s national carnival and it’s still run by an entire team of volunteers. The carnival board finds fun and unique ways to grow the carnival each year. To learn more about the schedule for the Batabano Cayman Carnival and to purchase tickets, visit CaymanCarnival.com.